Frescobaldi’s Preface to his 1615 collection of Toccate & Partite, here, is often cited in discussions of rhythm and tempo in early 17th-century music, but one less often encounters more profound analysis of what he actually wrote. The flowery script of the original isn’t easy to read, but there is a most useful transcription here (along with many other interesting historical source materials). 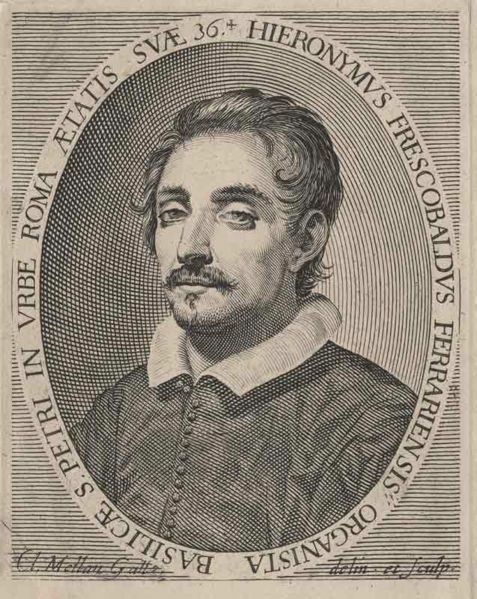 Since Frescobaldi compares his style to concerted vocal/instrumental music, his Rules are relevant to ensemble situations well beyond solo keyboard-playing. Nevertheless, we should be cautious: precisely where and when can we apply the Frescobaldi Rules? Just how do they work in practice? All too frequently, we are told that “Frescobaldi says you can change the Tactus, so you can do anything that you like”. This is not only an over-simplification, but a gross distortion: Frescobaldi specifies very particular genres, situations and ways in which the Tactus might be changed. More insidiously, it implies that we can ignore the context within which Frescobaldi offered his carefully worded advice. If we replace Frescobaldi’s underlying principles with an unexamined assumption of 20th-century rubato, it is highly likely that we will misconstrue his instructions. Some Historically Informed musicians have compared the Frescobaldian toccata to Recitative. This is a thoughtful contribution, that usefully reminds us of the importance of vocal music, and by implication, Text, to this instrumental genre. But sometimes the argument is presented thus: “Frescobaldi’s toccate are like recitatives. Recitative is the most expressive genre of music. Expression demands rhythmic freedom. Therefore both toccate and Recitatives are rhythmically free”. Every step of that argument is problematic. Frescobaldi does not mention Recitative. Circa 1600, the word Recitative was rarely used to denote the new style that we know from the first ‘operas’. See F. W. Sternfeld, ‘A Note on Stile Recitativo’, Proceedings of the Royal Musical Association 110 (1983-1984) 41-44. [This article is not openly available online, but please contact me if you can’t find it via your library]. And when the word Recitative is used, it means something different. What we (mistakenly) call ‘recitative’ today, speech-like melodic patterns over a slow-moving bass (as described by Peri in the Preface to Euridice, see my annotated translation here) was called modulatione by Il Corago. Even the solo-plus-accompaniment texture of monody is rarely seen in the ‘expressive’ sections of toccate, where there is usually melodic interest in two upper parts, if not throughout the entire polyphonic texture. So much for Frescobaldi and Recitative. Meanwhile, the baroque aim is not to ‘express’ the performer’s emotions, but to move the audience‘s passions. A subtle, but vital distinction! And, contrary to received opinion, there is no assumption circa 1600 that recitative is free. 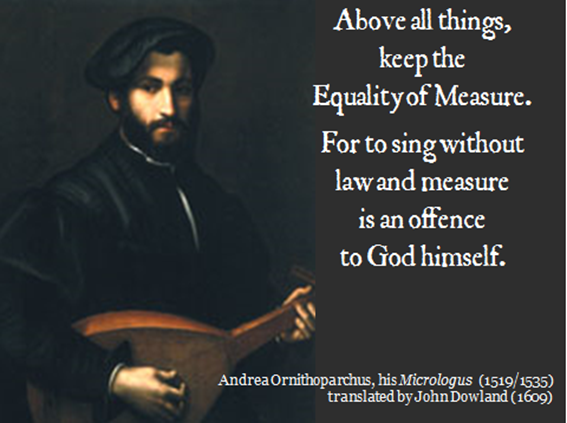 See The truth about Caccini’s ‘sprezzatura’ here. Keyboard players sometimes draw parallels between the toccate and continuo realisation. This is another well-intentioned suggestion, that can be of use, if taken with caution. Frescobaldi’s famous injunction “not to leave the instrument empty”, but rather to fill out the sound with a rich arpeggio, certainly encourages continuo players to make their realisations sonorous and supportive. But other aspects of toccata style are not applicable to continuo realisation. Re-striking sustained notes and dissonances “as often as you like” would be intrusive, and is specifically contradicted by Peri – it would “make the course of speech stumble”. Many of the chord positions in the arpeggio sections are too high for use as continuo (many sources specify low register for continuo with added low octaves in the bass, and the ‘tuning A’ A440, A460 – whatever pitch you are using, the A in this octave – is a good rule-of-thumb upper limit for continuo realisation in this period). And as noted above, there is more polyphonic action in the toccate than would be appropriate for continuo, especially on harpsichord. Agazzari specifies that organ and harpsichord should play a simple, fundamental accompaniment, leaving “fun and counterpoints” for other instruments. See What is continuo? here. Frescobaldi repeatedly refers to battuta. This does not mean ‘bar’, as it does today, nor ‘beat’ in the sense of ‘the note on the third beat of bar two is F#’. Rather it refers to the renaissance concept of beating time, with a slow, steady down-and-up movement of the hand. I therefore translate battuta as Tactus. See Rhythm, what really counts here. But this battuta = Tactus was a philosophical principle, as much as a practical technique. Indeed, since the harpsichordist would have both hands occupied playing, no-one actually ‘beats time’ in a Frescobaldi toccata. The practice of beating time with the hand becomes a symbol for an abstract concept of a slow, steady measure that defines Time itself. In this pre-Newtonian age, the definition of Time is Aristotle’s: Time is a number of movement in respect of before and after. Time is not an Absolute, in the way that we today understand so well from Newton; rather it depends upon movement. The steadiness of the Tactus is therefore essential for the reliability of Time itself. The philosophy of musica mondana (the heavenly Music of the Spheres), musica humana (the harmonious nature of the human body) and musica instrumentalis (practical music-making, whether instrumental or vocal) implies that earthly music is a microcosm of the entire universe, moving in perfect steadiness by divine power, and that music-making is linked to human well-being. If the Tactus fails, the heavens may fall. If your pulse stops, the music also dies. The image of the cosmos being turned by the hand of God gave enormous authority to the concept of the Tactus-hand, beating time for music on earth. 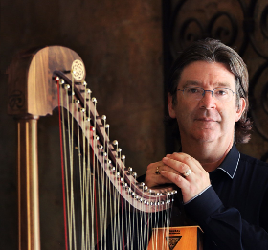 See Roger Mathew Grant’s Beating Time and Measuring Music here, and A Baroque History of Time here. Changing the Tactus therefore has huge philosophical, even religious, implications. Frescobaldi therefore approaches the subject with extreme caution. So should we! Frescobaldi frequently mentions passi, referring to the contrasting sections of his toccate. The word passo means a step, e.g. a dance-step, or a metrical ‘foot’ in poetry, so a diversity of passi suggests contrasting rhythmic structures between one section and the next. This is the opposite of the early 17th-century meaning of aria: not a nice tune, but a regular structure, especially a consistent rhythmic structure. So whilst an aria maintains a particular rhythmic footprint, two different passi have two different musical ‘steps’. Combining the meaning of ‘step’ and ‘section’, I translate passo as ‘movement’. Cantabile here means ‘vocal’, without any of the connotations of continuous legato, bad rhythm, vibrato, or anything else associated with the modern concept of ‘cantabile’. A passaggio is a run of fast notes – ‘passage-work’ in modern English. A partita is a set of variations – I leave this term, and toccata, itself untranslated. The style of playing with passionate vocal effects and with a diversity of movements. Facilitated by means of the Tactus. First; that this way of playing should not be subject to the Tactus, as we see applied in modern Madrigals, which (although they are difficult) are facilitated by means of the Tactus, beating it sometimes languidly, sometimes quickly, and even sustaining it in the air, according to their [the Madrigals’] passions, or the sense of the words. We should read ‘subject to’ in the context of renaissance politics. No democratic citizens here, but rather subjects of an autocratic Prince. Think Machiavelli (read him here). Think of the ‘divine right of Kings’. In 1615, Frescobaldi and his contemporaries consider the Tactus to be the hand of God, that directs human musicians as if they are mere pawns, obedient ‘subjects’. Even in his toccate and the ‘modern madrigals’ he compares them to, Frescobaldi does not suggest anarchy, a revolution that overthrows the reign of the Tactus. On the contrary, he explains that the difficulties of these compositions are ‘facilitated by means of the Tactus’. This is perhaps the most important point for modern readers to understand: Frescobaldi requires there to be a Tactus at all times, even though he specifies certain ways in which that Tactus might sometimes be changed. Modern Madrigals refers to the new style of concerted music for voices and instruments, accompanied with a basso continuo, which (like Frescobaldi’s toccate) feature contrasting sections. Like the songs of Caccini’s Nuove Musiche, they include sections for solo voice and continuo, in which a passionate style of singing, full of vocal special effects, is required. Monteverdi’s 5th Book, in 1608, includes both old-fashioned polyphonic partsongs and ‘modern’ concerted settings; his 6th Book in 1619 is entitled Concerto and consists entirely of ‘modern’ compositions. Frescobaldi published in 1615, just as the move to ‘modernism’ was underway. Notice that Frescobaldi does not use the word Recitative, although one of the features of ‘modern madrigals’ is what we (anachronistically) call ‘recitative’. There is no suggestion from Frescobaldi (or elsewhere) that what we call Recitative should be performed in free rhythm. Since the Tactus beat is down-up, sustaining it ‘in the air’ implies prolonging an upbeat, or hesitating before a downbeat. This already reduces the opportunities for hesitation by 50%: Frescobaldi does not sanction holding the Tactus-hand down at the bottom of the downbeat! The affetti in ‘modern madrigals’ can be identified by ‘the sense of the words’. But Frescobaldi’s toccate have no text, of course, so understanding which affetto, which passion, is at play becomes a crucial question. Remember that the idea of ‘moving the Passions’ implies that the affetto changes frequently, often from one extreme to its opposite (as we read in the Preface to Cavalieri’s Anima e Corpo, here). 2. In the toccate I took care not only that they should be full of different movements and passionate effects: but also that each of these movements can be separated one from another, so that the player has no obligation to finish them all, but can stop wherever it seems convenient to him. The sectional construction of the toccate is a significant topic in Frescobaldi’s advice for performers. The corollary is that other genres of music in the piece, which are not constructed in contrasted sections, should not have the Toccata Rules applied to them. These Rules apply only to the specific genre of Toccata, to the related genre of ‘modern Madrigal’, and (as Frescobaldi mentions later) to other genres that fall into well-defined sections. Otherwise, the default assumption, circa 1615, remains the conservative practice of constant Tactus. 3. The opening sections of the toccate should be performed adagio and arpeggiating; and similarly in the ligature (sections with suspensions ‘tied over’) or durezze (dissonances), also in the middle of the piece. [The tied-over suspended] are struck [again] together [with the new, dissonant harmony], so as noto leave the instrument empty. This restriking can be repeated ad lib by the player. The opening sections are notated in long notes. If you take a slow Tactus, then they end up feeling very slow indeed. Certainly, you’ll need arpeggios ‘so as not to leave the instrument empty’. I recommend following Frescobaldi’s advice, and using the Tactus to ‘faciliate’ changes of tempo, which can be ‘difficult’. Play the transition between two sections first in constant Tactus; then apply Frescobaldi’s Rules to adjust the Tactus, and play the transition with the required adjustment. 4. On the last note, both of trills and of passage-work that moves by leaps or by step, you have to stop, even if that note is a quaver or semi-quaver, or dissimilar to the following note. This pausing will avoid any confusion between one passage and another. It’s worth noting again the context, which is the assumption of regular Tactus. Frescobaldi’s readers do NOT expect to stop on a short note, and they recognise the need to maintain the Tactus (under normal circumstances) so that contrasts in notated note-values can be understood. However, in the special case of the transition between contrasting sections of a toccata, those 17th-century assumptions are contradicted. 5. The cadences, although they might be written fast, can appropriately be somewhat sustained; and as you approach the conclusion of passage-work or cadences you go sustaining the tempo more adagio. The separation and conclusion of movements is when you find a consonance in both hands together, written in minims. A stylistic feature of this repertoire is the use of ever-smaller note values for decorated cadences: Frescobaldi says that you don’t have to take the note-values absolutely literally, but the Tactus can be ‘somewhat sustained’. This suggests the ‘sustaining’ of the Tactus hand ‘in the air’, on the upstroke. Approaching the conclusion of a section, the entire Tactus can be slower than normal. It is not clear whether piu adagio means only ‘slower than normal’ or also ‘getting slower and slower’: we should not assume that Frescobaldi is advocating a modern rallentando. My cautious opinion, based on close reading of other sources in this period, is that rallentando is probably not intended, rather it is a one-time shift in tempo. I advise my students to vary the tempo ‘with the gear-lever, not with the brakes or accelerator’. 6. When you find a trill in the right hand, or the left, and simultaneously the other hand has passage-work, you should not synchronise these note by note, but just try to make the trill fast, and carry the passage-work less fast and passionately: otherwise there will be confusion. Ideally, the trill should have an elegant, subtle ‘shaping’ from slow to fast (as Caccini recommends and many other sources support), rather than being literal. The moving part in the other hand should then be slower than the fast trill, and should be played ‘passionately’. We should not confuse 17th-century passion with 20th-century rubato: Caccini suggests many ways to vary the rhythm of notated quavers, in order to ‘move the passions’, within a steady minim tactus. The concepts here (steady tactus, shapely and fast trill, passionate presentation of the moving notes, independence of the two hands) are challenging for modern readers: the execution is not easy, either! Harpists might note that this situation occurs in the final notes of the arpa doppia solo in Monteverdi’s Orfeo (Act III, the Aria Possente Spirto): trill in the right hand (with F#, which is a little inconvenient), passionate moving notes in the left hand (fragments of upward scale, each successive fragment is an octave lower, as we descend into the depths of Hell): it is, of course, the end of a passo. Go ahead and apply Frescobaldi Rule 6 – it’s not easy, but the effetto is certainly worth the effort. 7. When you find some movement with quavers and semiquavers together in the two hands, it shouldn’t be taken too fast: and the hand that plays the semiquavers must play them somewhat dotted, that is not the first, but the second [note] should be dotted, and so on all the way through, one no, the next yes. Good practical advice to take these movements at a steady tempo (some modern performers treat them as a race for an Olympic speed record). So whilst one hand moves in quavers (taken normally, and in steady Tactus), the semiquavers in the other hand are given a gentle ‘reverse swing’ in ‘Lombard’ rhythm (short-long). Fun! 8. Before you play a ‘double movement’ where both hands have semiquavers, you should stop on the previous note, even if it is ‘black’ (i.e. short: crotchet, quaver, semiquaver); then resolutely play the passage-work, so that the agility of the hand will be so much more apparent. The advice to stop before beginning a new movement fits with what we have already been told in Rule 4, although the situation here might be slightly different. Frescobaldi’s care in spelling out the details of these two, apparently very similar, situations, is a warning to us not to apply his Rules without careful checking that the situation really is appropriate. There is no general licence to ‘change the Tactus whenever you want’! Some modern players like to start such ‘double movement’ passage-work slowly, and accelerate. Frescobaldi rules this out: he tells you to begin ‘resolutely’. This word occurs also in sword-treatises, where spotting the correct moment (also called tempo in the sense of kairos or opportunity) to attack is a vital skill. But once the opportunity to strike is there, you don’t begin slowly, you attack ‘resolutely’! This is another situation where I advise my students “don’t use the brakes and accelerator, use the gear-shift’. 9. In the Partite (variations), when you find passage-work and passionate effects it will be good to take the tempo largo; you should observe this also in the toccate. The other [variations] without passage-work can be played with a somewhat allegro Tactus, leaving the good taste and fine judgement of the player to ‘drive the tempo‘; in this [driving the tempo] lies the spirit and perfection of this manner and style of playing. We are reminded here that the Rules are not ‘how to play toccate‘, but ‘how to play with a diversity of movements and passionate vocal effects’. So variation-sets may well have a diversity of movements, and some variations may include passionate vocal effects. The references to ‘good taste’ and ‘fine judgement’ suggest that the changes in Tactus between adagio, largo and allegro are subtle adjustments to the normal tempo (something around minim = 60 is the ‘default’ setting for this period). Note that Frescobaldi often qualifies words of tempo change with adverbs like ‘somewhat’, ‘slightly’. To find the correct ‘spirit’ and ‘perfection’ in these small adjustments, we need to make good use of the Tactus to ‘facilitate’ such ‘difficult’ transitions. Especially when the Tactus is going to change somewhat, or even hesitate in the air, we need to have a good understanding of precisely what the Tactus is doing. Often, players change the Tactus in the opposite way from Frescobaldi’s rules, taking the opening arpeggios at a different tempo from, but faster than the succeeding movement. The remedy is to begin by studying the piece in a consistent Tactus, and to manage transitions by focussing on the Tactus, not on the general level of activity in smaller note-values. The reference to ‘good taste and fine judgement’ does not imply that the player can do ‘whatever they want’. Rather, they are required to be careful in how much, and in which direction, to ‘drive the tempo‘, so that Time’s winged chariot does not crash and burn. 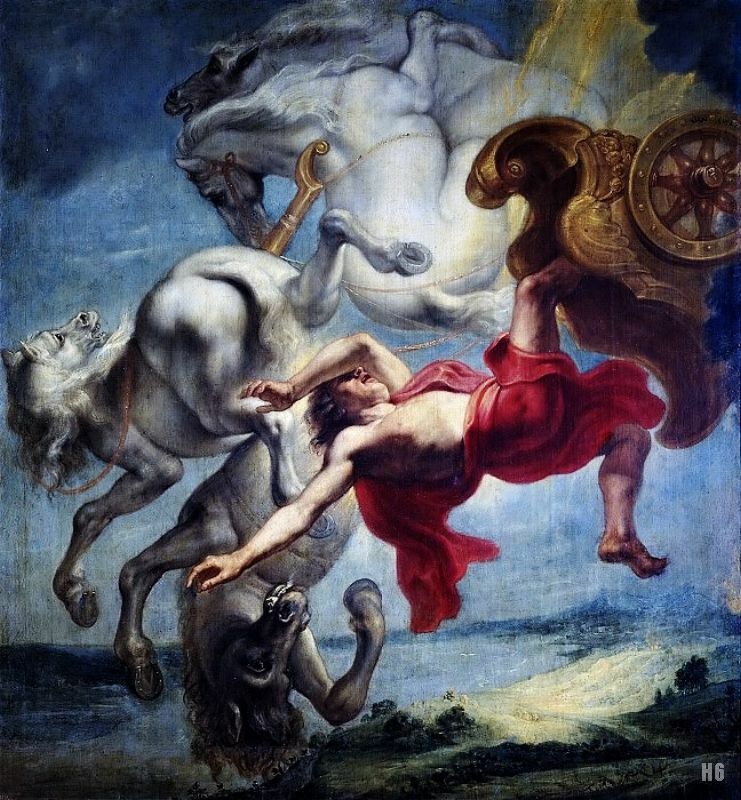 Playing with Time can be dangerous: Phaeton tried to drive Apollo’s Sun-Chariot, but he crashed it. The Passacaglias can be played separately, whatever best pleases you, with adjustments of the tempo between one variation and another, similarly for Ciacconas. It is not clear whether ‘separately’ means that you can play an individual set of passacaglia variations as a ‘stand-alone’ piece, or if you can select variations from within a set, in the same way that you can select movements from within a toccata. Probably the latter. But note that the Tactus can be changed between one variation and another, according to the Rules already given. In addition to the famous 9 Rules, Frescobaldi gives other summaries of his approach. The beginnings of the toccate should be played adagio, and the block chords should be arpeggiated. As [the toccata] continues, pay attention to the distinction between movements, carrying them more or less rapidly according to the difference in their passionate effects, which will appear as you play. In the ‘double movements’ [semiquavers in both hands], similarly you go adagio, so that they are better articulated; and in descending leaps, the last note before the leap should always be resolute and fast. It’s appropriate to stop on the last note of a trill, or other passionate effects, such as a leap, or step, even if it is a semiquaver or demisemiquaver. And usually you somewhat sustain the cadences. In the partite you set tempo giusto and with Proportions, and because in some [variations] there are fast movements, start with a comfortable Tactus; it’s inappropriate to start presto and then continue languidly. But [partite] should be carried through entirely in the same tempo. And have no doubt, that the perfection of playing is in the understanding of tempi. This summary also reminds us of the default assumptions of the early 17th century. There is the expectation of a standard Tactus – tempo giusto – around minim = 60, and triple-metre is managed by Proportions. The normal expectation is that pieces will be played entirely with a constant Tactus. Nevertheless, the final sentence refers to tempi, in the plural. There can be changes in the Tactus, but ‘perfection’ is in understanding precisely where, when and how. You can choose whichever you like of these movements, and finish in any of them which end in the right tonality. The beginnings should start adagio to give greater spirit and beauty to the following movement; and in the cadences sustain somewhat before you start the next movement. And in tripla [fast triple] or sesquilatera [slow triple] metres, if they are maggiori you set off adagio, if they are minori somewhat more allegro; if they are three semi-minims, piu allegro; if they are 6/4 you give their tempo by making the battuta go allegro. It is good in some dissonances to dwell on them and arpeggiate them, so that the following movement comes out with more spirit. All this is said with every modesty, and depending on the good judgement of studious performers. This summary also gives us additional information. Genre distinctions (Ricercare or Capriccio) are significant. To understand difficult music, search for the passion of each movement, and consider the Composer’s intentions. In the discussion of Proportions, I have left certain terms untranslated, because there is academic debate on their meaning. But my take on this is very straightforward: triple metres might be notated under 3/1 or 3/2, but either way, long notes (three semibreves) go slowly; short notes (three minims) go medium fast. Semi-minims are black with a stick – to a modern reader they look like crotchets: they go faster. If you have a 6/4 section, this goes very fast. This user-friendly approach to Proportions can be applied to famously challenging situations, for example the ballo in Monteverdi’s Orfeo. See Tactus & Proportions in ‘Lasciate i monti’ here. The difference between the (consistent) time-duration of particular note-values, and the (diverse) feelings of ‘speed’ in triple metres is explored in Quality Time: how does it feel? here. I set out in detail my take on Tactus and Proportions in Getting back to Monteverdi’s Time here. I began by urging caution. We need to understand precisely where, when and how Frescobaldi allows departures from the 17th-century default setting of constant Tactus. But close reading reveals that his Rules can appropriately be applied not only to harpsichord solos but to any repertoires in this period that exhibit sectional construction with different rhythmic structures between movements, and/or passionate vocal effects. Certainly that includes the ‘modern’ style of Madrigals around 1615, but it would also seem relevant to vocal monody and – most intriguingly – to ‘opera’. Whilst the default assumption is that an entire work (e.g. Monteverdi’s Orfeo) has the same, consistent Tactus, Frescobaldi’s Rules suggest particular circumstances where the Tactus might be somewhat faster or slower, or might even hesitate in the air. However, these Tactus changes are between movements (not within a movement), and (I would argue) of the ‘gear-shift’ type, rather than accelerando or rallentando. And the way to study these ‘difficult’ transitions is to identify the passion, apply the appropriate (subtle) adjustment of Tactus, and facilitate the performance by keeping a grip on the Tactus. All this is very far from ‘rhythmic freedom’ in ‘recitative’, or any general licence to play around with Time. Rather, even when the Tactus is going to change or hesitate, you facilitate the adjustment by means of the Tactus. Don’t crash the Time-Chariot.